Essay writing is one of the lecture in English Education program given in the fourth semester. In this lecture, the students are hoped to be able to develop the paragraph toan essay. That’s why the researcher thinks that students’ essay writing styles become one of the interesting phenomenons to describe including the sentence structures which are the reflections of the students’ ability in grammatical competency. 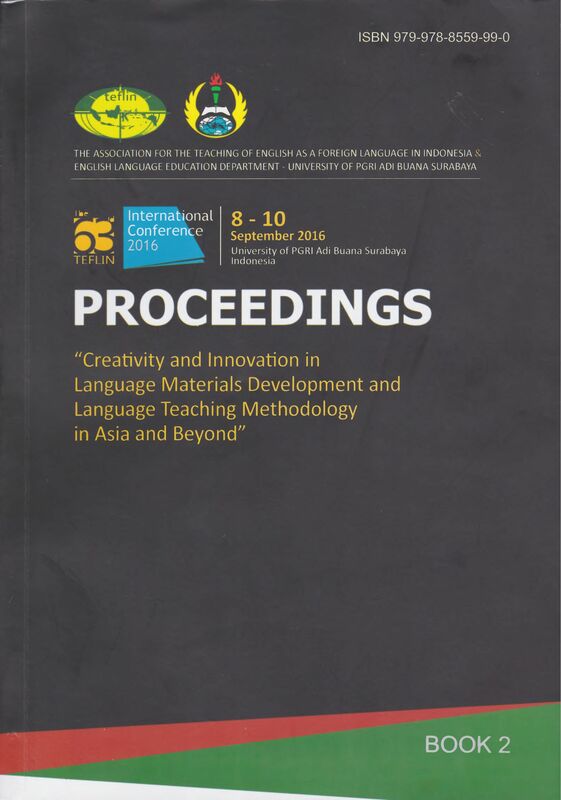 So,the research question in this study is; how are the students’ writing styles of English Education Program 2013 at Adi Buana University of Surabaya in writing an essay? The purpose of this study is to describe how the students’ essay writing styles are. The researcher uses descriptive qualitative in doing the research. The data taken by purposive sampling consists of all the words, phrases, and sentences written by the students of English Education Program 2013 at Adibuana University of Surabaya related to the research questions. The source of data is the essay writing made by them. The data collection technique is done by the researcher through getting the scores of students’ writing, finding the students’ writing, and copying the students’ writing while the data analysis is done through collecting the data, classifying the data, reducing the data, selecting the data, and displaying the data. Result shows that the writing styles used by the students are influenced by the students’ ideas and also the grammatical competency. Some of ideas are not well organized. Moreover, they are not able to use the modifiers properly, so their essay belong to overgeneralisation, overemphasis or exaggeration, understatement and confusion. In addition, waffle and formulaic also happens in the style of writing used by the students. To sum up, those happen because they lack of ideas and grammatical compentency to build up sentence structures. The essay is a piece of writing that consists of several paragraphs related a single topic. It usually has three paragraphs long involving introductory, main body, and concluding paragraph. Introduction is an important part of an essay. This section determines whether the reader will be interested to continue reading the essay to finish. Introduction of interest will obviously increase the interest of the reader to finish reading. In contrast, preliminary boring will make the reader an end to his reading. Basically, the introduction contains an adequate introduction of the topic to be written. The idea that is written in the introductory paragraphs provide an overview of the ideas or arguments to be written on the content of the essay. The most important element in the introductory paragraph is a sentence thesis (thesis statement). Thesis sentence is the main idea of ​​the essay clearly articulated (unambiguous) and explicit. This thesis sentence serves as a controller of an idea that would be submitted in the body of the essay.In essay body, the author is able to develop the ideas based on the thesis statement stated at the end of introductory paragraph. In this section, the author can transfer his or her ideas more than one paragraph. In this part, the author can express the ideas related to the thesis statement. In the body of essay, the reader will know what the author means. However, some of authors do not pay attention to the development of ideas in the body. There are some sentences which have no relations to the thesis statement. The body of essay will consist of many ideas which are able to make the reader confused. This phenomenon is able to reflect that the author loses the focus on his or her writing. The last element is concluding paragraph. In this section, the author can give the command or summary to the whole content of the essay. But, some authors often make the concluding paragraph by using a sentence. It should be more than one sentence because the paragraph is a group of related sentences. Moreover, the author is also able to give the judgment or opinion to the phenomenon happens in an essay which the author writes and pay attention to the structure of essay in order to make the readers easy to understand what the author means in his or her writing. Based on the background above, this study describes the writing styles of essay related to the sentence structure in constructing the paragraph to essay. Writing style is the way how the student writes. According to Duigu (2002:50) the problems which usually occurs related to style because of personal writing habits and cultural differences between mother tongue or educational background on the one hand, and English for academic purpose on the other. Modifiers is one of importat aspect which influence the style of writing. Duigu also stated that the most common errors in the use of modifiers are overgeneralisation, overemphasis or exaggeration, understatement, and confusion. Overgeneralisaiton is the style of using many quantity or frequency or are involoved. The students usually use them many times during writing such as few, sometimes, generally, many, often, common, most, frequently, widespread. They could be used to give additional information related to quantity of subject or verb in each sentence, however, when they often use them, the writing is not good anymore. Overemphasis is the way how to express degree of certainty or degree of intensity such as rather, considerable, quite, very, significant, dramatic, maybe, definitely perhaps, possible, undoubtedly, it is clear that, generally speaking. On the other hand, understatement and confusion is the way the writer express some ideas by combining overstatement and exaggeration more common. When the student combines some modifiers then they are used inarorpriately in a sentence, the readers are confused to understand the meaning of sentence. In conducting the study, the writer prefers to use a descriptive qualitative research as a research method. It Concerns with descriptions, qualities and observations (Swetnam, 2004: 128). 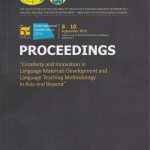 The data in this research are described in the form of words, sentences, or paragraph relating to the text which the writer investigates in order to answer the students’ writing styles written by the students of English Education Program 2013 at Adibuana University of Surabaya related to the research questions. The source of Data is the essay writing made by them. In this section, the researcher acts as the main instruments to collect the data by using a purposive sampling. Then, Researcher did some steps such as getting the scores of students’ writing, findings Students’ writing, and copying the students’ essay writing. After getting the essay writing, the researcher scans the essay writing to make them in soft files to be put in the appendices, while the hard files are used to be analyzed and described by the researcher based on the structure of essay and also the sentence structure which are used by the students in writing an essay. In this step, the writer describes the analysis of the data. There are some ways that the researcher has done to analyze the data. They are collecting the data, classifying the data, reducing the data, selecting the data, and displaying the data based on the theory of writing styles stated by Duigu (2002:50) about the modifiers, overgeneralization, overemphasis, understatement and confusion, waffle, formulaic and thoughtless writing, immature writing, and cultural differences in style. The word theirselves belongs to object possessive pronoun which should be written by themselves. That idea could be expressed by using simple sentence. There are unnecessary actions such as hurting themselves by hitting, jumping from hill, and punching on the face. Tv Programs are important thing in the world that we need because without TV Program we will loss our information which is information from our country or out of our country such as accident, terrorism, and government news (d1:p1:l1). The data above has complex ideas to express. It is difficult to put the ideas together in a paragraph. There are some information gaps stated over there. It is wiser when the student wrote; everyone has different favourite TV program including me which like Mata Najwa broadcasted in Metro TV. The sentence is simple and easy to understand. The data above is the main body of essay. In the last sentence of introductory paragraph, the student wrote that Mata Najwa is her/his favourite TV Program in Metro TV. However, in the first line of main body paragraph, the student wrote the same idea with the thesis statement stated in introductory paragraph. “Mata Najwa” is TV program which is suitable to watch for Adult and Parents. Beside that I also like the Host who is Najwa. Najwa is Succesfull woman. Beautiful women, and also as Directur Executive of Metro TV. I always watch “Mata Najwa” one of my favorite is when Mrs. Risma as in personal life (as a wife and a mother) and in work (As you know Mrs. Risma is Governor of Surabaya). The points above could be understood, but the student has basic structure in grammar and limited expression to state the ideas above. The ideas above could be stated that Mata Najwa TV Program becomes interesting because it invites Risma as the famous Major of Surabaya, East Java. The use of Indonesian Language appears in the data above. When the students have rich of vocabularies, the student will translate what he/she wrote into English. However, the student ignored that ideas or expression. It could be restated that the Governors or majors is chosen by the society, so they should work totally for society. That is why the data above belongs to immature writing made by students in making an essay. The data above shows that place of pronoun me and you indicates that the writer is the priority than someone else. It should be written by giving the priority to someone else to symbolize the culture. The student should express by using you and I maybe have different TV Programs. Student Writing Styles are influenced by many factors. There are some grammatical errors in each sentence to build up introductory paragraph, main body paragraph and also concluding paragraph. On the other hand, the understatement and confusion happens in writing the essay because the students lack of ideas to write. In addition, they mix modifiers inappropriately. So the reader is confused to understand what the writer wants to write. The Formulaic and Thouthless Writing occurs because the students have basic structure and a few basic expression in an essay. The suggestions that the researcher could give is that the lecturer and teacher must check the students’ difficulties while writing. Knowing the students’ problems is the first gate to improve the quality of students’ essay writing. I thank all to the students who participated in this study. I also express our gratitude to the Head of Department of for supporting this research. Zemach, Dorothy E and Liza A Rumizek.2003. Academic Writing from Paragraph to Essay. Oxford:Macmillan Education.